The AVOX Antares Vocal Toolkit combines 11 of our state-of-the-art vocal processing plug-ins to give you the power you need to create stunning vocal tracks in any musical style, as well as design unique vocal effects for audio post-production applications. All at a substantial savings over purchasing the plug-ins separately. 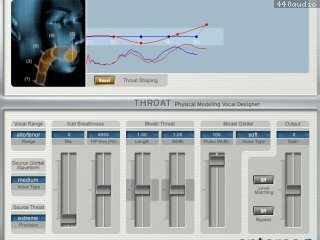 - Harmony Engine Evo Vocal Modeleing Harmony Generator - The quickest, easiest tool for creating realistic harmonies. We have introduced AVOX 4, the fourth generation of the Antares Vocal Toolkit. AVOX 4 is fully 64-bit compatible and includes AAX Native versions of all of the AVOX plug-ins. In addition, AVOX 4 now includes Mic Mod EFX Classic Microphone Modeler, for a total of eleven unique vocal processing plug-ins.